Travelling around the country, as we do, we expect to see both the usual and the unusual – but not together on the same site. This place is only an hours drive from home. The earliest building on this site was a Jacobean brick built house. 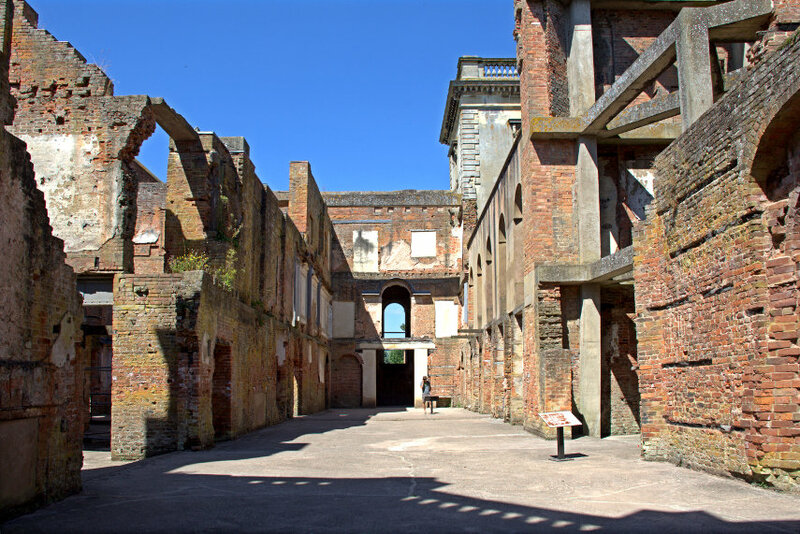 After the civil war it was sold and the new owner erected two towers on the north side of the house and his grandson added the wings which enclose the entrance courtyard. Later a new private chapel was added to the west of this courtyard. 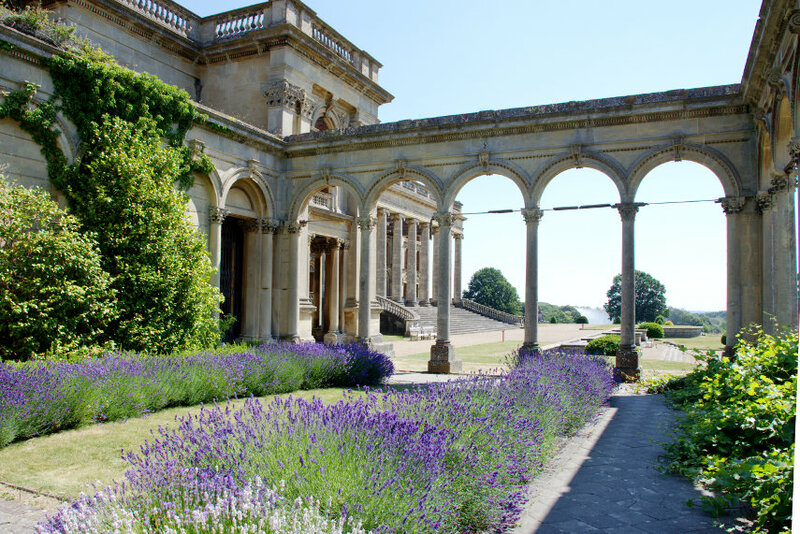 Around 1805 the owners employed John Nash, a well known English architect, to carry out a major reconstruction of the house which included the addition of huge ionic porticoes to the north and south fronts. 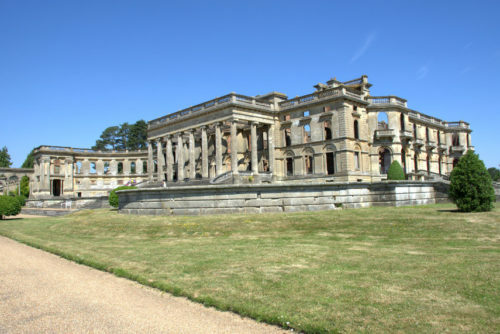 In 1837 serious debt forced the sale of the estate to the 11th Baron Ward, later 1st Earl of Dudley, who had inherited a great fortune from the coal and iron industries in the Black Country. 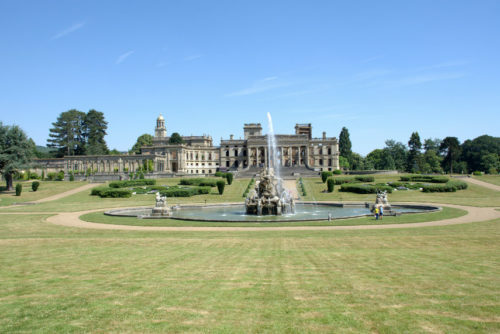 In the 1850s, Baron Ward engaged the architect Samuel Daukes, who had already altered his London house to remodel the house in Italianate style using ashlar stone cladding over the existing red brickwork and this is the result – Witley Court near the village of Great Witley in Worcestershire..
What a very grand house it is with the very impressive fountain behind it. However you may not have noticed something odd about the house in the first photograph. There is no glass in any of the windows and the sky is visible through some of the windows as seen in the picture below. 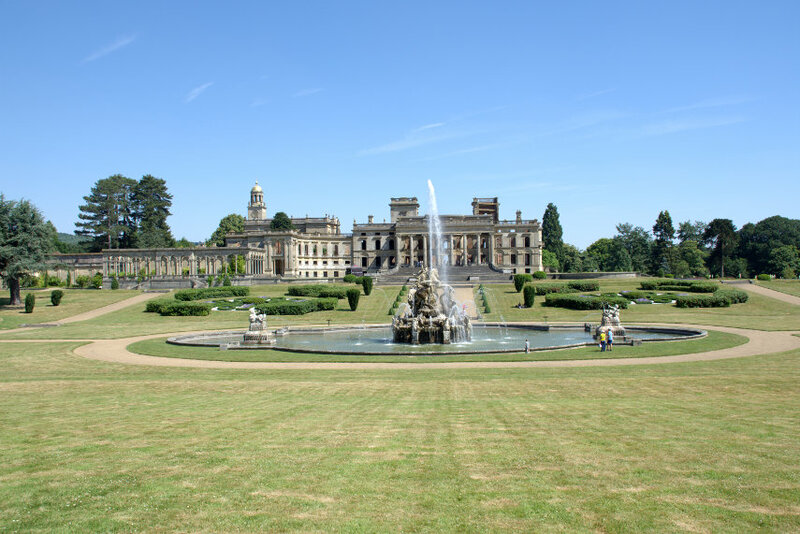 In 1920 Witley Court was sold to Sir Herbert Smith who maintained only a skeleton staff to manage the house whilst he and his family were away, and many areas were left unused. 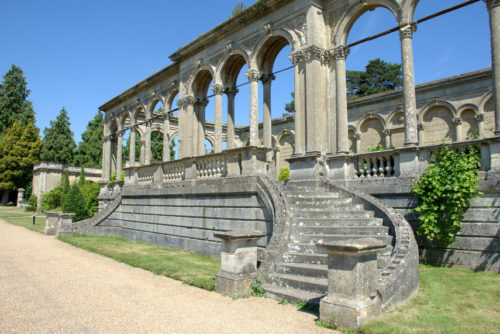 A major accidental fire broke out in September 1937 whilst Sir Herbert was at another of his houses and although it did not destroy the whole house the estate was sold as separate lots with the house being bought by scrap dealers who stripped what they could from the house leaving it an empty shell. So we have what appears to be the usual stately home but is, unusually, just a shell. A rather sad ending for such a grand house. 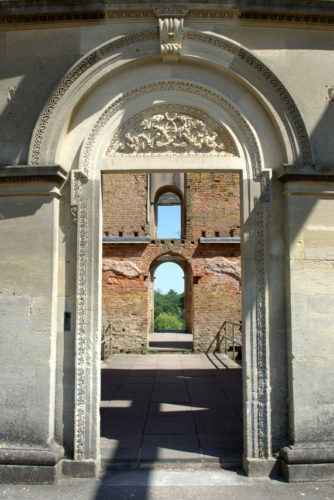 The ruin is currently managed by English Heritage. 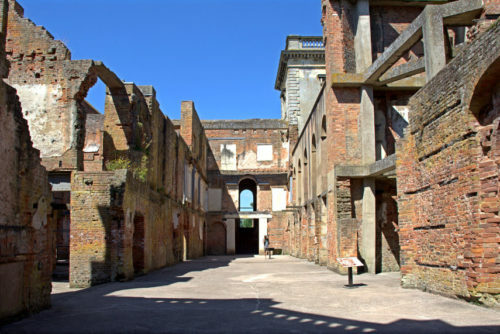 The picture below is the main reception hall with the main staircase through the arch in the far wall. 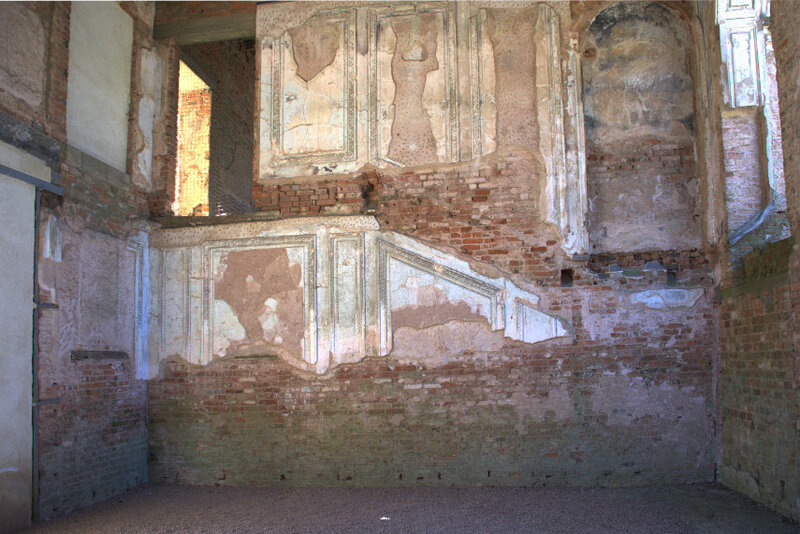 The picture below is in the main stairwell and the angled plaster follows the line of the original staircase. There are numerous decorative carvings around the building of which this doorway is an example. This picture shows the main entrance to what was the Conservatory and the picture below it is the Conservatory interior. The church is still attached to the main house but is not maintained by English Heritage as it is now the parish church. But what a parish church. 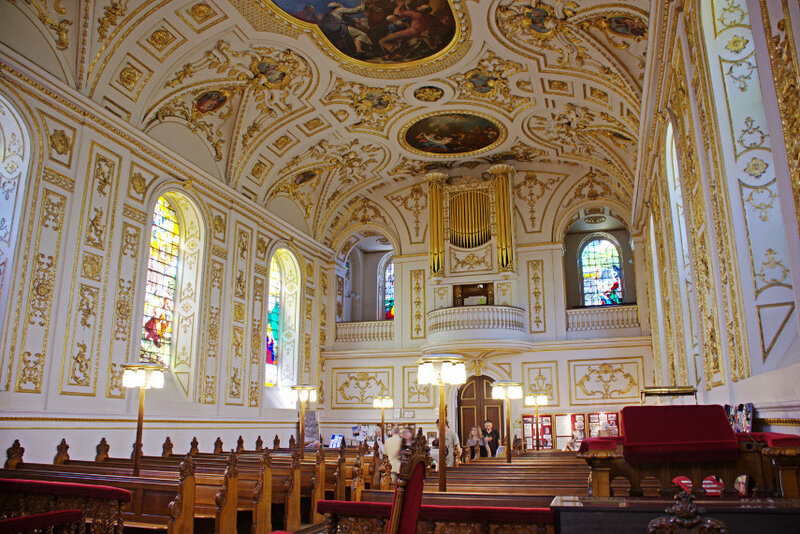 It was built in the mid 18th century and, at that time, the interior was rather plain. Just 10 years later stained glass windows and the oil on canvas paintings on a new curved ceiling were added together with moulds for the wall and ceiling decorations and the organ. What an astonishing result! 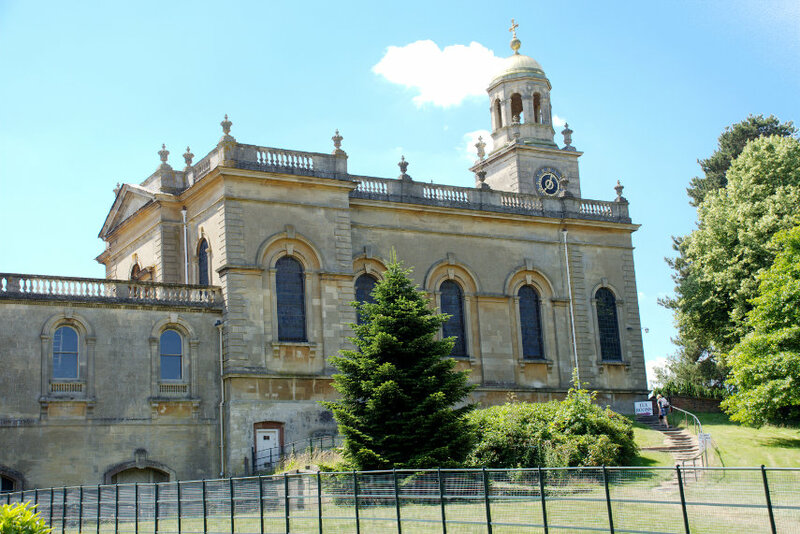 If you are ever in this area don’t miss seeing the church interior. #1 | Written by Annecyborn on 12 July 2018. 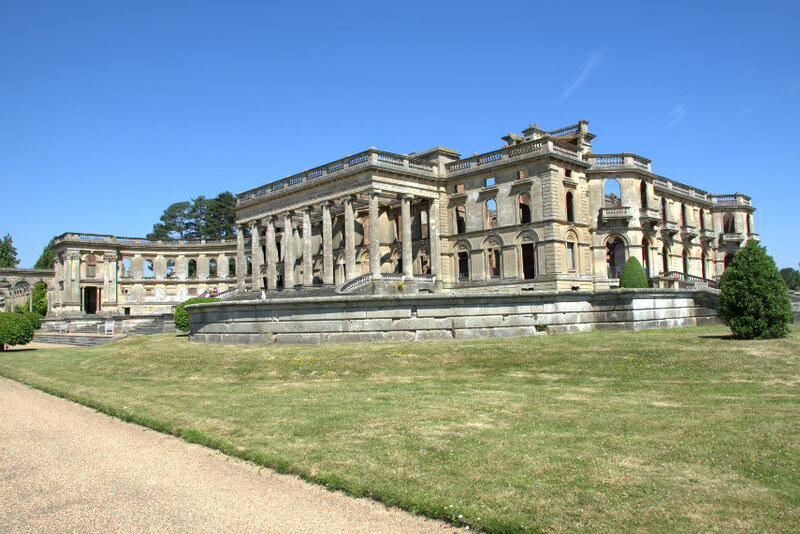 I am impressed that I have heard of Witley Court – saw it on Antique Road Show. They showed a bit of the exterior and interior. But you did a better job! It must have been really impressive. The church is beautiful. #2 | Written by Barry on 13 July 2018. 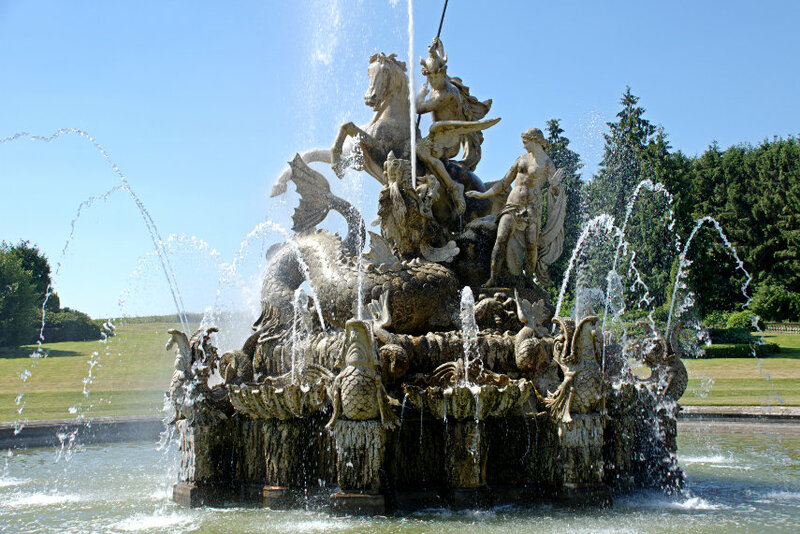 I’m impressed that you have heard of Witley Court.